Ada attended Holy Cross for her undergraduate education and has worked in clinical research for several years. She is a first-generation graduate school student at BU School of Social Work. She is passionate about health equity and environmental sustainability, as both are closely intertwined. She enjoys collaborating with clients to find solutions that best suit their interests and situations. 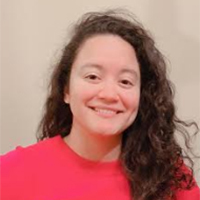 At CISWH, she is working on a project with Boston Medical Center’s Radiology Department focused on reducing diagnostic and screening mammogram no-shows. Ada’s pronouns are she, her, and hers. She is Latina, specifically, her parents are from Honduras.